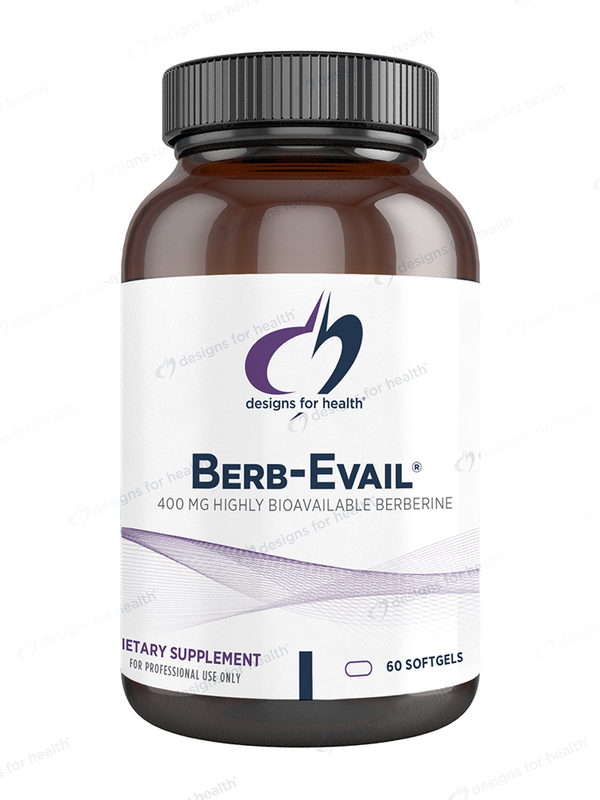 Berb-Evail™ combines 400 mg of the plant alkaloid berberine (from Berberis aristata) for the primary purpose of supporting healthy blood sugar levels and enhancing insulin sensitivity. 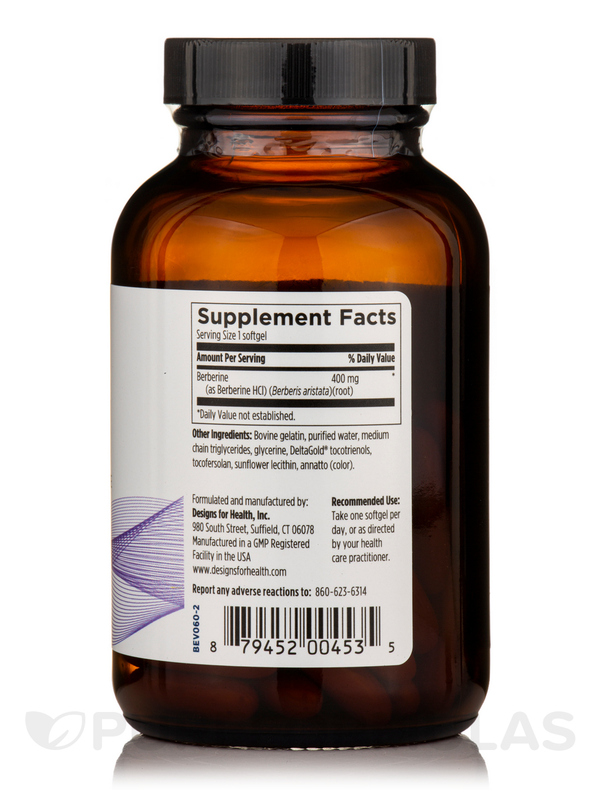 Additionally‚ berberine has been shown to exhibit antimicrobial properties. 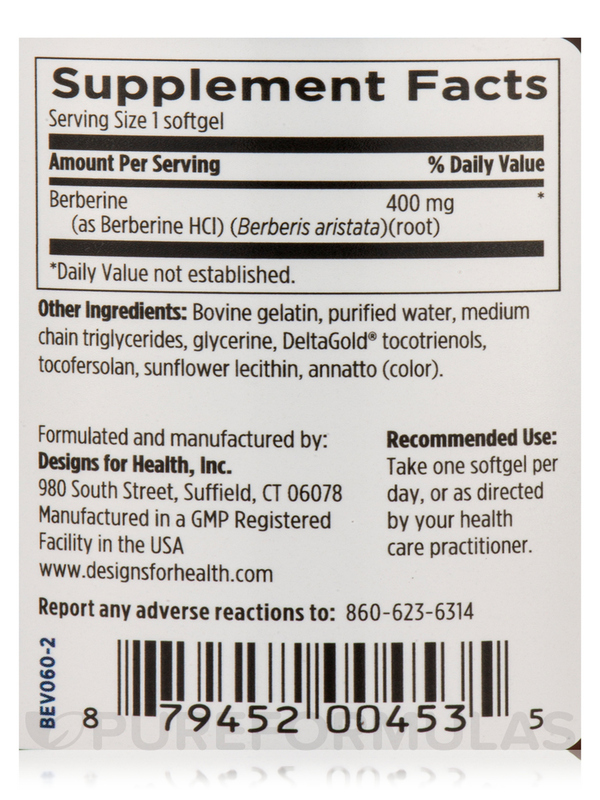 Berb-Evail™ is manufactured using the Designs for Health Evail™ technology‚ which is an all-natural formulation that improves the absorption and delivery of berberine. 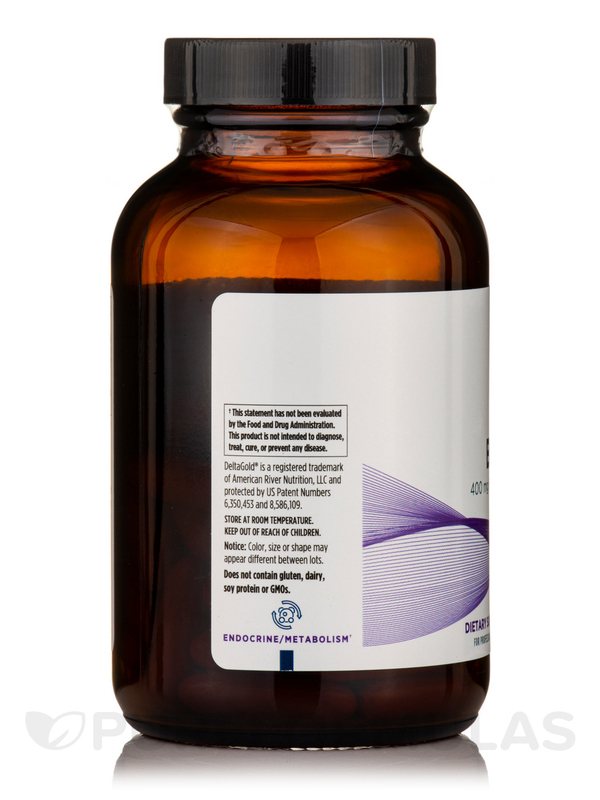 This process uses a proprietary blend of MCT oils‚ non-soy derived lecithin‚ and vitamin E‚ without the use of potentially harmful surfactants. 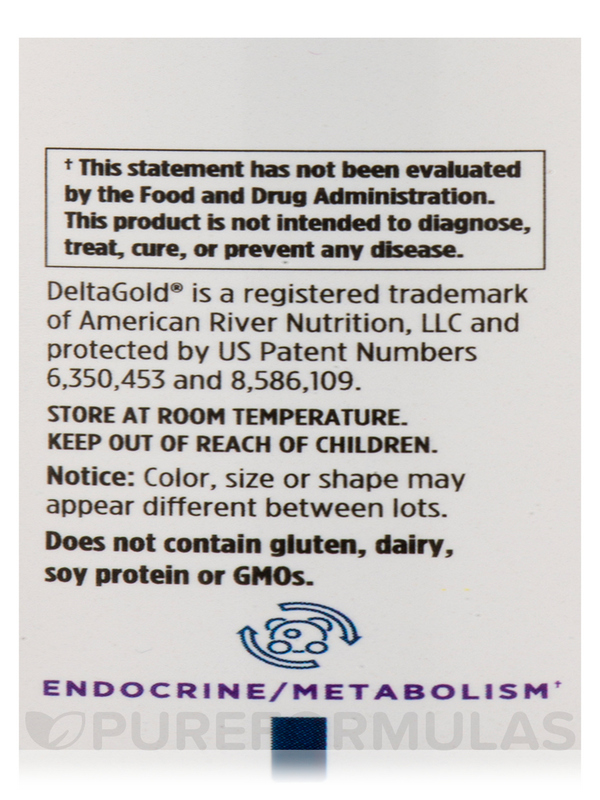 Other Ingredients: Medium chain triglycerides‚ Vitamin E‚ high gamma tocopherol‚ sunflower lecithin; bovine gelatin‚ purified water‚ glycerine‚ annatto (natural color) (softgel ingredients). 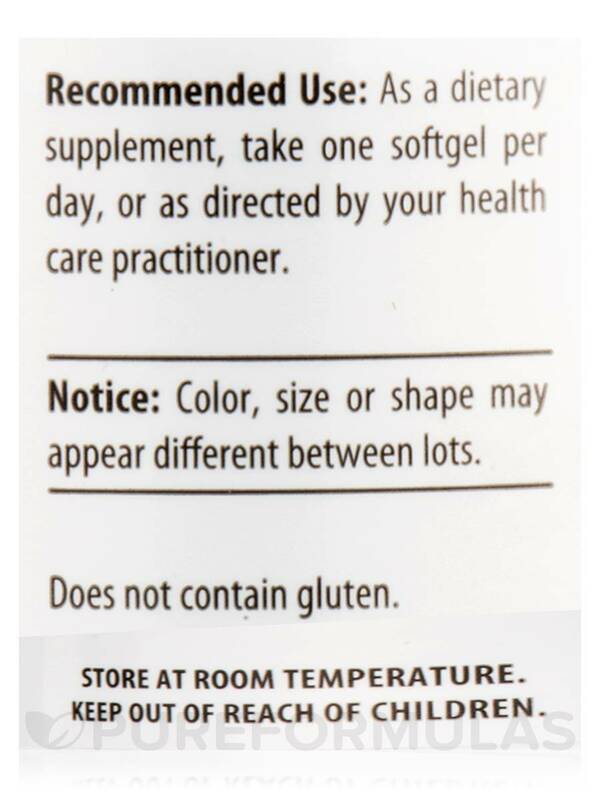 As a dietary supplement‚ take one softgel per day‚ or as directed by your healthcare practitioner.